When children are removed from their homes due to abuse or neglect, or an unsafe environment, it can be a traumatizing experience. To make matters worse, all of their worldly possessions – their clothes, toys, whatever will fit – are typically put in a single garbage bag and they leave immediately. This is how many start their journey in search of a caring, safe foster home. Your home. They locked me in a closet. That’s all I can remember about my 7th birthday. It was pitch black and scary. I was terrified they would never let me out. I remember coming home from school, wishing so hard my parents would surprise me. But they didn’t even remember. There was no cake. No balloons. Not even a present. When I got off he bus that day, I heard yelling before I even got to the house. I looked around, hoping none of my friends could hear it. My dad was screaming at the top of his lungs at my mom – “What’s wrong with you? Why didn’t you go to work?” My mom was throwing things around the house. I heard a glass shatter. I knew when I walked in the door I’d see the empty bottles. The white stuff on the table. I knew it was drugs. They never even tried to hide it. I was always terrified to go in the house. My parents yelled at me. Sometimes they smacked me hard. When they got really mad, they wouldn’t even feed me. Most of the time they barely even acted like I was around. All I wanted was for them to do things my friends’ parents would do with them. Read to me. Take me to the park. Tell me they loved me. I remember a few days after my birthday, our neighbor friend asked me if I was ok. I told her I was fine and ran fast to the bus. I didn’t want her to see that I was crying. Every day I hoped it would get better. That my parents wouldn’t be mad. That they’d play with me. That I wouldn’t be alone so much. And then one day everything did change. I remember being sound asleep and then waking up to a loud knock on the front door in the middle of the night. “Who the hell is it?” my dad yelled at the door. My mom was in the spare room. She had been sleeping in there for days. It was Child Protective Services. They put all the clothes I had in my room in a garbage bag and told me we were leaving the house. “I promise it will be ok,” I remember one of the nice ladies saying to me. As I left, I remember my mom coming out of her room. When my dad told her what was happening, she started screaming and crying hysterically. It made me sad. The next few weeks seemed like a blur. I was told I was going to go to a foster home. When I met my foster parents, they were so nice to me. They gave me a warm bed and good food. They read to me. We went to the zoo and an amusement park. We made cookies together too. Sometimes at night, I still get scared of the dark. I have bad nightmares of being trapped somewhere in a basement or a cave, and never getting out. I wake up and scream. Every time, my foster parents coming running into my room. They hold me and tell me I don’t have to be scared now. My 8th birthday is coming up in a few weeks. My foster parents are planning a party. With cake and balloons. They asked me what I wanted for my birthday. “A present?” I asked. I couldn’t stop smiling. Foster care is a temporary living arrangement for abused, neglected, and dependent children who need a safe place to live when their parents or another relative cannot take care of them. We help foster children succeed in school, fulfill key material needs, and participate in essential childhood experiences. Our services are tailored to help them graduate from high school with a plan for their future. The Children’s Center also serves caregivers by providing educational and financial support to help them navigate the challenges and opportunities of fostering, to provide the best possible experience for the youth in their care. Every 18 minutes a child is abused or neglected. 70% of 4th graders cannot read at grade level. Over 22% of foster youth experience homelessness after age 18. Less than 2% complete a bachelor’s degree. Children thrive in an environment that includes an adult who is committed to their long-term well-being. 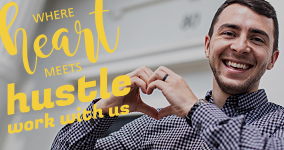 We believe a good foster parent is someone who has our children’s best interests at heart. It’s about finding the right match, not about choosing from a specific group of people. That means your marital status, age, income, religion, and sexual orientation will not automatically disqualify you from fostering or adopting a child. Nor do you need to own a home, have children already, be young or wealthy, or a stay-at-home parent. Trauma hurts. We help heal. Sometimes the path from hurt to healing is you. You can help foster children build bigger dreams and brighter futures. We invite you to explore how you can help foster youth have a promising tomorrow, empower them to succeed, build bigger dreams and have a chance to experience the pure joy of simply being a child. Give us a call at 313.262.1119 or email syoungblood@thechildrenscenter.com to learn how you can change a child’s life. Why do children enter foster care? Children in foster care are just like any other child you know with one difference—they have all suffered trauma and loss through no fault of their own. They have the same needs, dreams, and unique potential as all children, and seek the same opportunities that all children equally deserve to build a bright and promising future. Foster care is a temporary living arrangement for abused, neglected, and dependent children who need a safe place to live when their parents or another relative cannot take care of them. What happens to children once they enter foster care? Once the court has decided that a child should be removed from his or her parents’ custody and placed in foster care, the birth parents and the child are assigned a social worker. Federal law requires that all children have a “permanency goal”— that is, there must be a clearly defined plan for the child to eventually return to their birth parents’ care. Approximately 65% of children do in fact return to their birth parents after they have completed necessary treatment. When families are unable to make the life changes necessary to safely parent their children, other options are sought. These usually include adoption, a guardianship with another family member or friend, or remaining in foster care until the child turns 18. How do you become a licensed foster parent? Call Us. The first step is to call The Children’s Center at 313.262.1119. We’ll answer your questions and mail you a Welcome Packet. Orientation. You and your family are invited to orientation. Training. Receive PRIDE pre-service training. Application. Sign the application to begin licensing process to assess you, your family, and your home. Home Visit. Together, we’ll schedule a time when The Children’s Center can visit you and your family at home. Family Assessment. Provide references, physical exams, TB test results and family information. The Children’s Center finalizes initial family assessment. It’s Official. Congratulations! You’re now a Licensed Foster Parent (upon approval). Why do children in foster care tend to move from home to home? What are some of the biggest challenges for children in foster care? Life in foster care can be extraordinarily challenging, both emotionally and developmentally. Research shows that kids in foster care suffer from Post Traumatic Stress Disorder at a higher rate than returning combat war veterans, and more than half struggle with mental health challenges. Academically, foster youth face an uphill battle due to changes in home placements and school transitions, lack of basic skills, and emotional upheaval. Access to important socialization opportunities – like music lessons and team sports – is limited, as is access to funding for essential needs like clothing, shoes, school supplies, haircuts, and school fees. On any given day there are approximately 2,500 children in the foster care system in Wayne, Oakland and Macomb counties (over 14,000 state wide). According to adoptuskids.org, there are approximately 115,000 children nationwide who are waiting for parents. How does The Children’s Center help foster youth and families? The Children’s Center provides safe and nurturing foster and pre-adoptive homes for abused and neglected children. We strive to reunify children with their families or achieve permanency in an adoptive home. We help foster children succeed in school, fulfill key material needs, and participate in essential childhood experiences. Our services are tailored to help them graduate from high school with a plan for their future. The Children’s Center also serves caregivers by providing educational and financial support to help them navigate the challenges and opportunities of fostering, to provide the best possible experience for the youth in their care. The Children’s Center also collaborates with social workers, clinical therapists, school systems, government agencies, and policymakers to improve outcomes for youth in foster care by removing barriers to academic achievement, and developing and supporting policies that promote the short- and long-term well-being of foster youth. What age(s) does The Children’s Center serve? 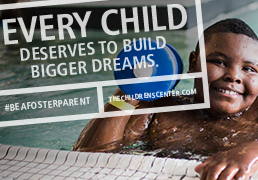 The Children’s Center supports the needs of foster kids ages 0 – 21. The Children’s Center Graduation Success services are available for foster youth in Wayne County in middle and high school. Educational Advocacy services are available to foster youth statewide from Pre-K to 12th grade. Why is high school graduation for foster youth a key priority for The Children’s Center? Without a high school diploma and a plan for their future, foster youth experience disproportionately high rates of poverty, homelessness, incarceration, mental illness, unplanned pregnancy, and substance abuse when they leave care. The Children’s Center is uniquely positioned to improve these outcomes by changing the trajectory of youth in foster care through integrated, research-based programs that help our youth make it to high school graduation day and beyond. How can you help change a child’s life? There are over 14,000 Michigan children living in foster care on any given day. 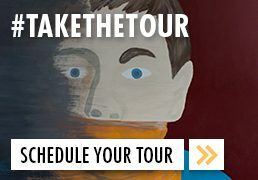 We invite you to explore how you can help foster youth have a promising tomorrow, empower them to succeed, build bigger dreams and have a chance to experience the pure joy of simply being a child. MYTH: Children in foster care have physical, mental or emotional challenges. REALITY: Some children do have challenges due to the trauma they have suffered. However, foster parents receive intensive training and support to prepare them in dealing with that trauma. Sometimes, prospective foster parents see the term “special needs” associated with kids in foster care. This term is somewhat misleading because it can simply mean that the child is older, is a minority or has siblings that need to be adopted with them. MYTH: State agencies may withhold information about a child’s past in order to get that child placed with a family. REALITY: State agencies are legally required to provide full, factual information about a child to any potential foster/adoptive parents. They have an interest in making sure parents have a positive experience, so they’ll foster/adopt again or recommend others do the same. For children who have physical, emotional or behavioral problems, agencies provide the most comprehensive services available. They want to help children make a positive transition into their foster or adoptive homes. MYTH: Families don’t receive support after the adoption is finalized. REALITY: Financial assistance does not end with the child’s placement or adoption. Most foster care children are eligible for federal or state assistance that helps with costs. These benefits vary by state, but commonly include monthly cash subsidies, medical assistance and social services. REALITY: This might be the biggest myth of all. Children in foster care have enormous potential to thrive, given love, patience and a stable environment. MYTH: If you are gay or lesbian, you can’t adopt. REALITY: A good foster parent is someone who has a child’s best interests at heart. That means your marital status, age, income, religion, and sexual orientation will not automatically disqualify you from fostering or adopting a child. Nor do you need to have children already, be young, or a stay-at-home parent. MYTH: You have to be wealthy to be a foster parent. REALITY: It’s true that foster parents must be financially stable, but they don’t have to be wealthy. Enough income to support you and your family each month is all that you need. MYTH: You have to own a home to be a foster parent. REALITY: You can be a homeowner or a renter. You just need to make sure there is enough room for a foster child to have their own bed and space for clothing and belongings. A foster child can share a room with another child based on their age and gender. REALITY: You can be married, single or partners, an unmarried couple or divorced. If you are a couple, both of you must attend class and become licensed. MYTH: You have to be home with the kids during the day, so you can’t have a full-time job. REALITY: People work full-time when they have biological children, and it’s no different with foster children. Your licensing agency can advise you on childcare options. MYTH: You have to have parenting experience to be a foster parent. REALITY: While it’s helpful, parenting experience is not an absolute necessity. MYTH: You don’t have control over the types of children who get placed in your home. REALITY: You do have a choice over which children are placed in your home. However, the broader your parameters are, the more quickly you will receive a placement. MYTH: My children are grown and gone—I’m too old to be a foster parent. REALITY: Foster parents must be 21 or older. Empty-nesters often make great foster parents and find it a rewarding experience. MYTH: I can’t be a foster parent because I would get too attached. REALITY: It’s true—you will get attached, and it will be painful when the children you love leave. But these children have suffered through things no child should ever face, and they need the care foster parents provide. MYTH: Children do not want parents who are culturally or racially different. REALITY: A child wants a parent who will be there, no matter what. As long as their ethnicity is respected, most children don’t care who their parents are. MYTH: Teens in foster care are there because they are juvenile delinquents. REALITY: Most teens in foster care are there for the same reason younger children are in foster care: because someone abused or neglected them. MYTH: By the time a child is a teen, their personality is set and you cannot have an influence on them. REALITY: Recent research shows that the brain does not stop growing and changing until a person is in their 20s. MYTH: Teens in foster care do not want parents. REALITY: No teenager thinks they need a parent, but they all want one. They want someone to accept them no matter what. MYTH: Kids who leave foster care with no family are fine. REALITY: Youth who leave foster care without a family are more likely to become homeless, on public assistance, incarcerated or die than youth with a family. MYTH: The foster care system has enough parents. REALITY: According to adoptuskids.org, there are approximately 115,000 children who are waiting for parents. On any given day there are approximately 2,500 children in the foster care system in Wayne, Oakland and Macomb counties. Because there are not enough foster homes, children are sometimes sent to temporary facilities while they wait for an appropriate home to become available. No child should have to be removed from a home and spend the night in a facility while they wait for a bed. MYTH: The foster care system is broken. REALITY: Hard-working people are trying every day to improve the system. 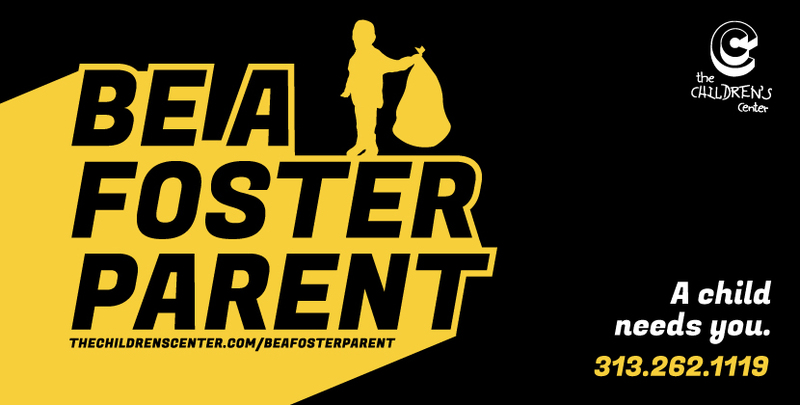 The more dedicated foster parents we have, the better the system becomes. MYTH: It is too expensive to adopt a teen from foster care. REALITY: You might receive a monthly stipend until the child turns at least 18. Teens who are in foster care for one year after they turn 14 are eligible for college financial aid without taking the parent’s income into account. MYTH: Foster parents are only in it for the money. REALITY: While there is a monthly subsidy to help reduce the cost of food and other necessities, we do expect that foster parents are financially stable and not dependent on the stipend or any state or federal financial assistance. MYTH: Birth parents will come to a foster or adoptive home to visit with their child. REALITY: In most cases, we encourage foster parents to have some connection with the child’s family. This connection is called co-parenting and it comes with many options, including letters, phone calls, e-mails or face-to-face contact. Visitation requirements are set by the court and the child’s professional team, but foster families are not required to hold visits in their homes. Sometimes the families come to a point where they’ve built a strong relationship and they both feel comfortable with home visits. MYTH: I have to provide medical insurance for a foster child. REALITY: Foster parents do not pay any of a child’s medical expenses. Each child in foster care has coverage through the state for medical, dental, and mental health care needs. MYTH: Foster children have been abused so much they are beyond repair. REALITY: Children are amazingly resilient. Foster parents can make a difference by providing a structured, nurturing environment. In addition, we will offer support and training to help increase your childcare skills.